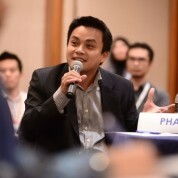 Tuan M. Pham, Ph.D is Founder and CEO of Topica Edtech Group, a leading online education provider in South East Asia. Topica cooperates with 8 universities including top-tier institutions in the Philippines and Vietnam and to operate high-quality online degree programs, and provides online English speech tutoring courses in Thailand and Vietnam. Topica also manages the Vietnam chapters of the Silicon-Valley accelerator Founder Institute, the first acclerator in Vietnam whose grads have raised million-dollar funding rounds. Previously, Pham served as a Vice Dean at Hanoi University of Technology, a Dean at Hanoi Open University, and a Senior Visiting Scholar at University of California, San Diego. Before that, he served as a management consultant at McKinsey&Company in Budapest, an investment officer at Extramedia Ventures in Singapore and New York, and a software architect at Integra Software in Budapest. Pham received a PhD and an MSc from Budapest University of Technology, and an MBA from New York University Stern School. Pham was honored by World Economic Forum as a Young Global Leader in 2012, and by Founder Institute as Highest Rated Mentor in Asia in 2011. He is Steering Committee Member of Asia Pacific Incubation Network, and Central Committee Commissioner of Vietnam Youth Association.